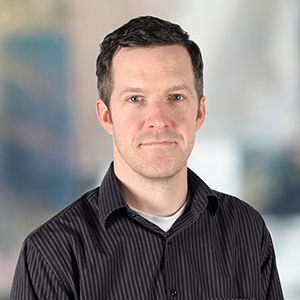 Last week, CannonDesign announced Mike Cavanaugh as its new firmwide sustainability leader. As part of that introduction, Mike took time to answer some key questions about his new role, sustainable design and key industry initiatives. What’s your elevator pitch when explaining sustainability at CannonDesign? Sustainability is a moral, ethical and professional imperative; it is a standard of care that we owe to our clients, our colleagues and our future generations. CannonDesign has the breadth of experience and expertise to deliver design solutions that innovate within our industry, operate at peak efficiency and stand the test of time for our clients, and minimize impacts on our natural environment. For our clients who understand the links between design excellence, high quality, high performance and sustainability — we deliver. For our clients who want to better understand those connections, we can help them define a vision for how their organization fits into our shared ecosystem and how to have a positive impact going forward. Simply put, the world is moving toward a sustainable future and we inspire and assist our clients to move with it. What are some of the most important issues affecting sustainable design today? There are many issues pushing our industry and indeed our world toward sustainable design. The most obvious is energy consumption. In the U.S., around 80% of our energy comes from fossil fuels, which, when burned, damage our atmosphere with CO2 (a greenhouse gas) and other pollutants. Barring a full and immediate transition to clean, renewable fuel sources, we need to consume less energy. The less energy our buildings consume, the less damage to our atmosphere. Another major issue is our growing global population. Our earth has a finite amount of natural resources. The ways we plan our cities, construct our buildings, operate our systems, manufacture our goods and feed our people needs to treat these resources more carefully. The manufacturing and construction industries have gotten a lot better in the last 20 years at re-using and recycling waste in factories and on job sites. As designers we need to support these advances and help to drive them further along. Finally, our climate, unfortunately, has already started to change and will continue to do so for another generation even if we stop polluting our atmosphere today. We need to prepare for the upcoming changes through resilient design — which for me brings the idea of sustainability full circle — because sustainability by definition is all about adapting and enduring. What’s the AIA 2030 challenge and why did CannonDesign sign it? The 2030 Commitment is the AIA’s response to the 2030 Challenge, by which all signatories will strive to gradually reduce the energy consumption of the buildings we design to be carbon neutral by the year 2030. CannonDesign was an early adopter of the 2030 Commitment – we signed on in 2009 and began recording and reporting results that same year. We did this out of a recognition that buildings are responsible for nearly half of all energy consumption and CO2 emissions and that as designers of those buildings, we need to do our part to minimize that impact. The energy reduction goal increases every 5 years, and in 2015, we moved into the 70% reduction target. 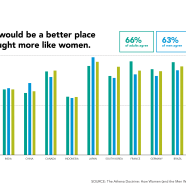 Achieving a 70% reduction from the average predicted energy use intensity (PEUI) for any particular building type is not an easy task but it is one we need to strive for on all of our projects. The Health Product Declaration is a sustainability initiative we hear about often in our industry. What is it and why was CannonDesign a founding sponsor? Health Product Declarations (HPDs) are the result of years of questioning and research about the life cycle of the materials we use in construction and their impacts on the environment and on human health. Our industry is already well aware of the importance of choosing materials that have a high recycled content and low volatile organic compounds (VOCs – i.e. chemicals that can evaporate into the air we breathe). HPDs look further into the make-up (chemical and organic) of the materials themselves and grade their various effects on human health due to prolonged exposure in production and final installation. Similarly, EPDs (Environmental Product Declarations) offer more detail on the effects that materials have on the environment, for example, during manufacturing or as rainwater runs off installed applications. Our Materials Working Group was a key, early contributor to and supporter of the HPD Collaborative — the working group responsible for raising the issues, developing a grading system, and then incorporating these requirements into LEED V4. As a result of the work we did in these early stages, the building product manufacturers are thinking even more deeply about how they make their products and what materials they use. What are some of the lessons you’ve learned in talking to clients and colleagues about sustainability? My interest in sustainability — energy conservation and renewable energy in particular — was sparked in late 2008, right before I joined CannonDesign. Since that time I have been involved in many conversations in various capacities: as the chair of my town’s Energy Task Force (2011 to present), as a presenter in various local environmental groups such as the Massachusetts Climate Action Network, as a colleague and data collector for the AIA 2030 Commitment (2010 – 2012), as the coordinator for the Boston office’s first EAW live speaking event (2011) and as a Project Architect in the healthcare and science & technology markets. One thing I have learned is that there is a limited percentage of people who are drawn in by the ‘doom and gloom’ scenario of environmental destruction and/or climate disaster. The human psyche has adapted many ways to deal with fear over millions of years of evolution and more numbers and data sets are no match for denial. The best weapon against fear, then, is hope. For this reason we need to find ways to present the solutions to the very real problems we face as opportunities for greener forests, cleaner air, clearer water, healthier food and lifestyles, smarter cities, cooler technology and higher-quality, more beautiful and more enduring design. Sitting at the kitchen table, drawing with my daughters, who at ages 11 and 9 still, to my surprise, proclaim that I am the best ‘artist’ they know.